Located (92040) in East County, Lakeside CA is nestled among the hills and provides East County living at it's finest. 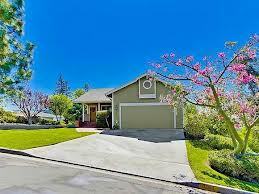 Lakeside CA homes for sale boasts a friendly, small-town atmosphere. One of the many pleasures of living in this thriving area is the diversity of the landscape and recreational opportunities. This community is close to the deserts, mountains, ocean, and the area enjoys a year-round mild, sunny climate. The community enjoys a strong mix of commercial, agricultural and industrial businesses, while preserving open spaces for fishing, hiking and horseback riding. The annual Western Days Parade and Lakeside Rodeo are just some of the traditional cultural activities enjoyed throughout the region. Equestrian properties in Lakeside offer you the comforts and amenities of a horse-friendly community, including public and private riding trails and top-notch horse care facilities. Lakeside residents have stunning mountain views and private hillside lots. You can choose from a range of properties that include condos, towhomes and single family detached homes. As a resident of Lakeside, don't forget to check out the Bulls Only Rodeo every July at the Lakeside Rodeo Grounds! You gotta try it at least once! MLS Listings in Lakeside range from $175,000 to $700,000.